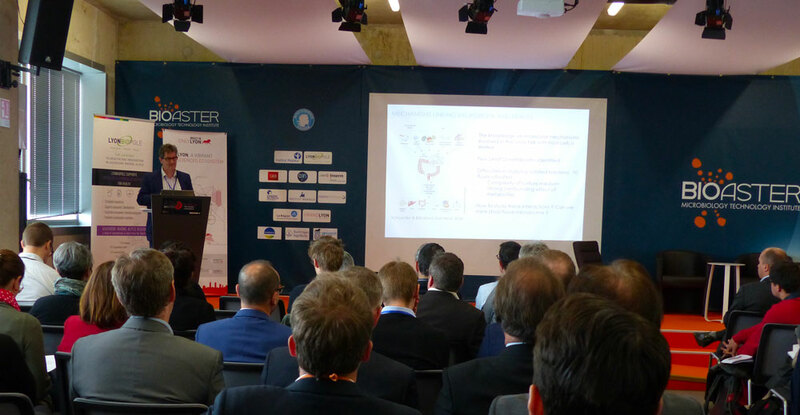 A DAY@BIOASTER #2 was a great success ! 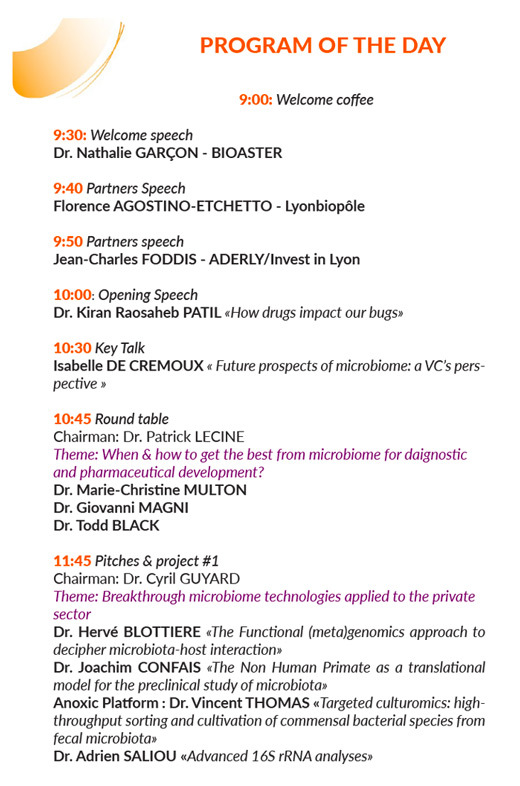 The second edition of the A Day @ BIOASTER event took place in our offices on April, Thursday 4th, and brought together more than 60 participants and 16 speakers from different “worlds”: academics, industries and SMEs. With the support of our partners Lyonbiopôle and ADERLY-Invest in Lyon, the day was rich of lessons and exchanges between our teams and our guests. What to build future partnerships and collaborative projects of technological innovation in microbiology. 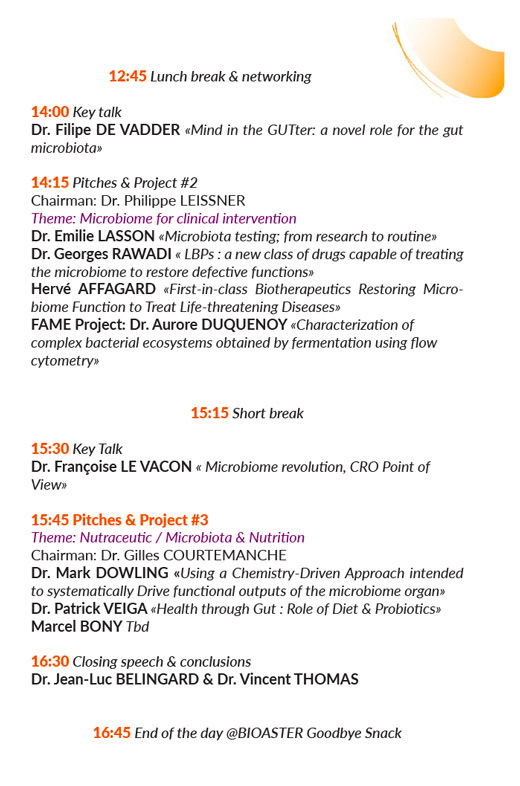 Discover here the program of this day and the names of the speakers who did us the honor to share their knowledge on the topic of the microbiome.